Heather & Little was pleased to be a part of the Trumbull Court House restoration project in Warren, Ohio. 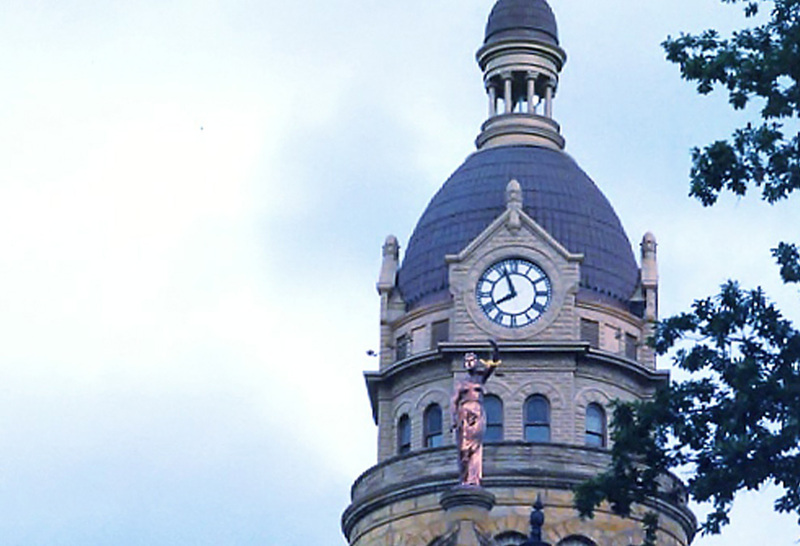 Our team was tasked with creating custom stamped ornamental sheet metal tiles, finials, and stamped sheet metal wall panels to restore this historic courthouse’s roof to its former beauty. 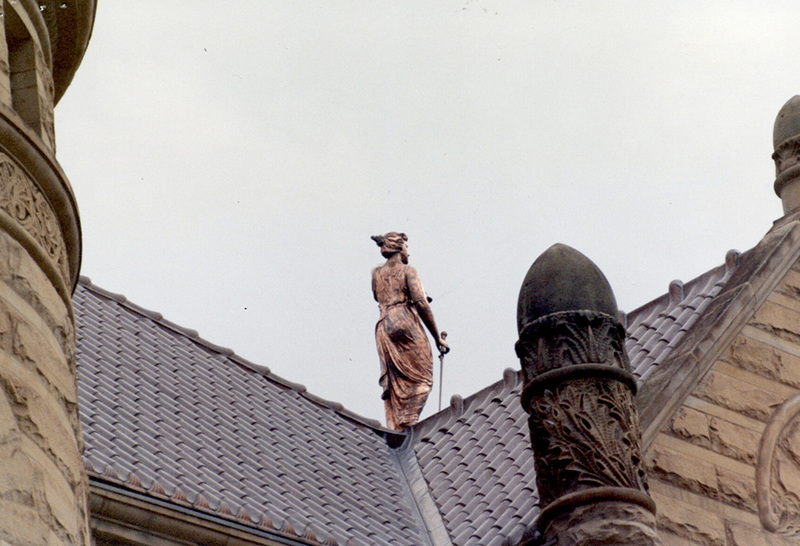 As part of the project, our skilled statuary artisans were also involved in the restoration of the one Lady of Justice statue and to replicate/reproduce of three new statues for the courthouse. The current structure located on the court house grounds is actually the third building to stand in its place. 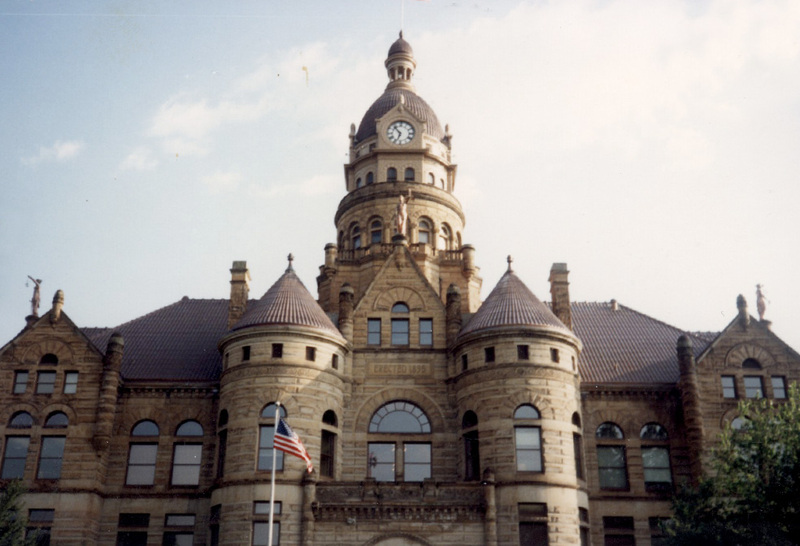 When the county’s second courthouse was destroyed by fire in 1895, a new building was immediately commissioned to replace it. 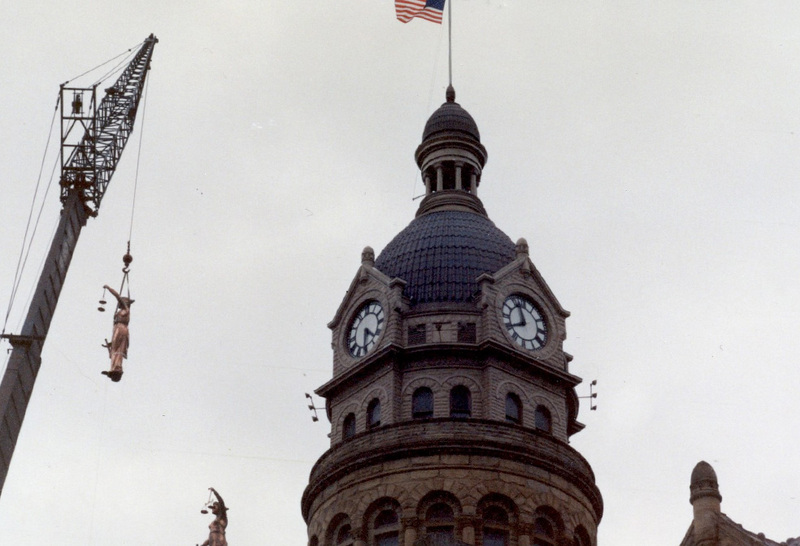 This gorgeous Romanesque-style building featured quality materials such as Amherst sandstone and a copper roof, and was finally completed in 1897 after two years of construction. Working as a team with Roth Bros. Roofing in Ohio, Heather & Little reproduced the original Spanish-style decorative sheet metal tiles that once adorned the building’s roof using 20-ounce copper. We also created finials, conical cupola roofing tiles, and all the ridge, hip and valley tiles that were required to complete this project which was ready in time for the 100 year celebration of the historic building. This decorative sheet metal fabrication and roofing project was the recipient of a Associated General Contractors “Build America” Award. To learn more about our decorative sheet metal restoration of the Trumbull Court House, browse our gallery of images below.